Choosing a host is a challenge for any Internet user, who lacks experience and knowledge in the niche. Newbies don’t have any other choice but to rely on commercials, forum tips, rumors and other sources of information, which are often not worth the trust. It is impossible to create a website without hosting, but you can simplify the choice of it by selecting one of the most popular website builders. These platforms offer a rich spectrum of services, which encompass content management systems, hosting and visual editors that make it possible to create websites quickly and efficiently. The choice of cheap hosting, which meets contemporary niche needs. Depending upon the CMS, these requirements may change, so, you have to consider this factor as well. Uploading the website files to the host, which should be done on your own. The sign up procedure and getting a domain name for a website. These tasks are quite simple, but only when you know how to cope with them properly. Technical support does not focus on these issues and won’t help you until you face more serious problems. The only available solution is to use the manuals, which quickly become outdated because of the change of the hosting admin board. Website builders are much simpler and user-friendly in this case. You don’t have to choose hosting and upload website files, while the procedure of attaching a domain name is very simple and undemanding. What you should do to create a website is to sign up for the platform, choose a template and start customizing the design of your website, filling it with content. As a result, you get a chance to create an appealing and functional website without wasting your time when choosing hosting and uploading the files of your site. You don’t have to take care of the safe and timely system upload. These nuances are handled by the owners of the platform. Tech support is ready to answer each question and handle even minor problems. To prove the fact, let’s have a look at two website builders that are the most suitable for inexperienced webmasters. Selection of Editing Options. Wix works qually great for experienced web designers and those users, who are just starting their web building career. It has a standard Wix Editor, by using which you can customize a website with a variety of tools found in the dashboard. 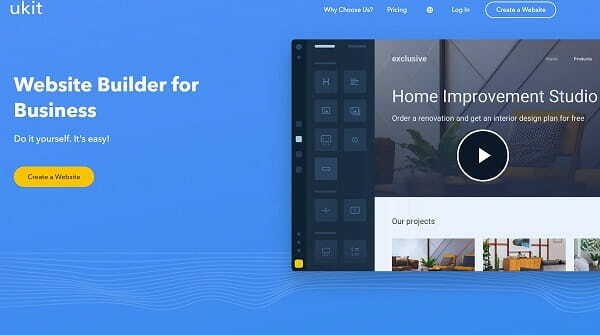 Another design editing option is Wix ADI tool – the Artificial Design Intelligence feature that automatically creates a website for you based on the info submitted. This makes Wix #1 site builder for each user willing for a website. Integrated Wix App Market. To give your website exquisite look and decent performance, take your time to browse the App Market. This is the place, where you will find multiple widgets, extensions and applications for better website personalization (Site Booster, Live Chat, Wix Forum, Form Builder, Calendar, Events, Hit Counter, Comments, Site Search, Google AdSense, Wix Stats, Google Maps, Booking and many more). Template Gallery. 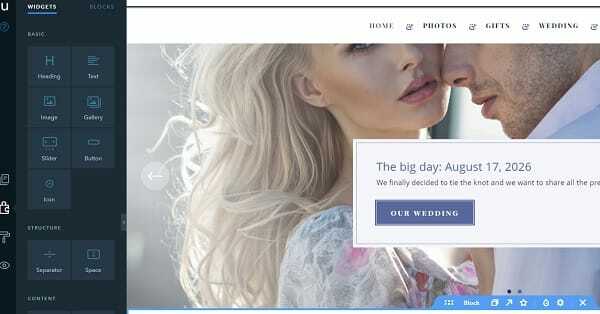 As of today, Wix can boast an extensive template gallery to come up to any personal and business requirements. The templates are optimized for mobile viewing by default, but the website builder also offers a manual mobile editor to let you design the mobile version of your website without changing the look of its desktop variant. SEO Wiz. With Wix SEO Wiz, it is you, who will be in charge of your website search engine ranking. By filling out the meta tags, adding and managing website content, analysing the statistics of websites, you can identify the apparent problems on time. This will eventually have positive effect upon the search engine positions of your website. Blogging and eCommerce. The website builder makes it possible to create functional blogs and online stores in several ways – either by selecting and customizing corresponding website templates or by choosing and integrating specific niche widgets. It’s up to you to decide, when to upload and schedule new posts, enable comment sharing options, add and manage product lists and perform other actions. Wix is a universal and world-popular website builder, which offers much more templates, widgets and customization options than any other website builder. Correspondingly, you might need more time to build a website with it, but if you invest enough effort, you will avail individual design. This is one of the notable benefits of this website builder. If Wix’ options are too hard for you to complete the project, pay attention to uKit website builder. It is less expensive – $4/mo and it allows creating websites in a simpler way. 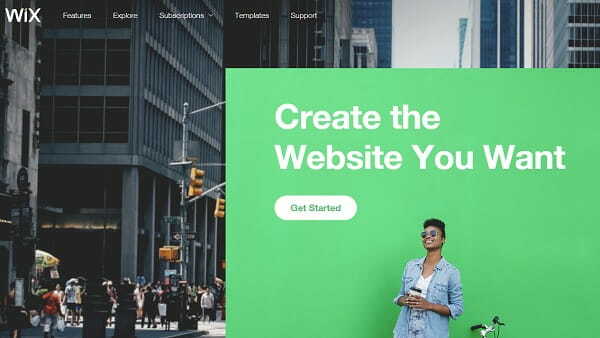 uKit is a full-featured website builder, which allows creating promo websites, landing pages, small business and eCommerce websites without a host search. The hosing is included and is unlimited here! The trial period of the platform is provided for 14 days. As soon as the trial comes to its end, you have to switch to one of the paid plans. 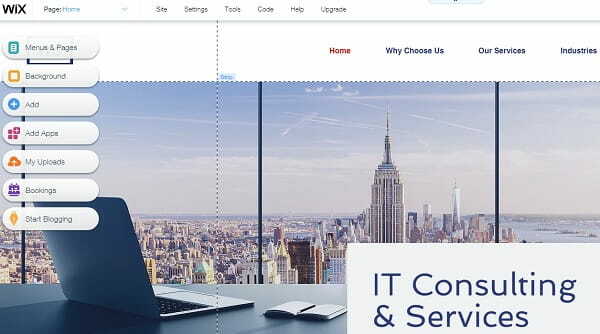 Responsive templates for business websites. Rigorous and appealing, they are subdivided into several theme categories to simplify the navigation. When choosing the suitable template, you can see the way the web pages will look on your smartphone, tablet or laptop. Powerful WYSIWYG editor that makes it possible to adjust around 90% of webpage setting options with a few clicks. No code and formatting are needed here: you will use a keyboard to type the text only. Rich collection of widgets and blocks for filling the website with content. Some of the useful elements you will find here include texts, photos, videos, gallery, reviews, call back option, order forms, product view features and more. By subscribing the eCommerce plan or adding an Ecwid widget, you can also build a small-to-mid sized online store. It will be safely protected from the unauthorized access. With that said, it becomes clear why uKit is in demand these days, especially with small business owners. When compared with other web building tools, uKit features minimum investment of your time and money. This, however, does not affect the result. Websites created with uKit is not worse than those built with CMS. They are functional, appealing and have high search engine indexing. The benefits of both website builders are clear. They make it possible to spend minimum amount of time to develop a project and get excellent result. Demerits are apparent as well: the website builders lack functionality. There are enough features to create a small website, but if you aim at developing a large portal or marketplace, you will face the lack of tools to make your vision a reality. Wix and uKit are great solutions for small business websites, promo websites and small online stores. Websites created with uKit have a business look. It is impossible to spoil their design, because the visual editor limits the prevailing amount of actions. Wix offers more opportunities to develop various types of projects. At the same time, such creativity freedom may result in unappealing and awkward web page designs. When choosing Wix, you should get ready to spend more time to set up your website and make it functional.